While my work as a writer consumes much of my time, I am also Creative Director of a company that I founded to develop unique creative events and bespoke imagery for high end ambitious brands seeking to promote themselves to a worldwide audience. This creative work fascinates me; the privilege of getting ‘under the skin’ of a client with vision allows me to deliver truly distinctive work that becomes the unique ‘signature’ of the brand. When Albert Dock, Liverpool requested key signature images for worldwide use, I was delighted to be working with one of Britain’s most beautiful and most popular tourist destinations. 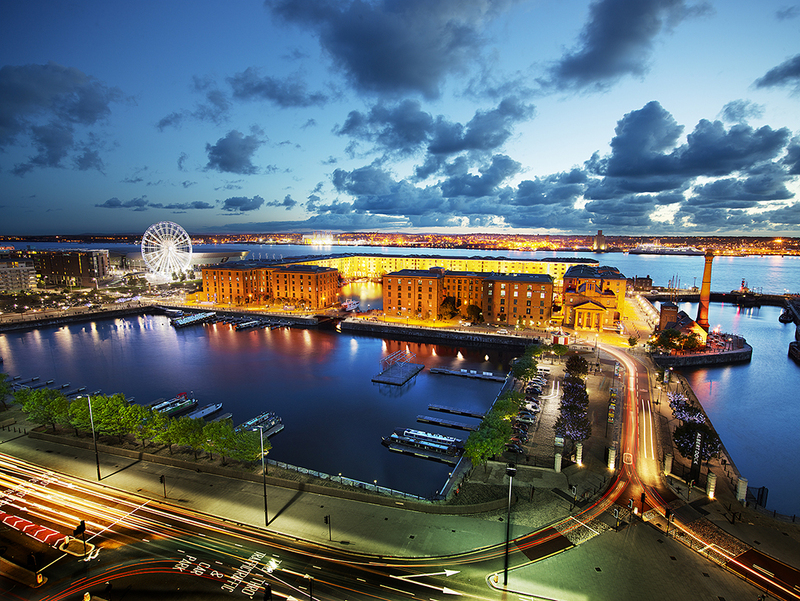 On the banks of the River Mersey, Albert Dock is the largest group of Grade 1 listed buildings in Britain, built between 1841-1846 to a design by visionary engineer and architect Jesse Hartley. The pioneering maritime heritage of Albert Dock is extraordinary; it was the world’s first non combustible dock warehouse system, built of cast iron, brick and stone – without timber, a fire hazard. Acclaimed and internationally renowned photographer Craig Easton worked with me to achieve these spectacular new images for Albert Dock. With the help of fantastic teams of people throughout the city, and especially the crew of the sailing ship Zebu, I achieved my big idea to illuminate the immense Dock from within – as opposed to simply from outside. The wonderous effect I envisaged was breathtaking. At the heart of the previously dark Dock , the magical sailing ship I had dreamed up was tressed with lights through the rigging. She sparkled magically, mysteriously; inviting visitors to discover. Crowds of unsuspecting visitors to the dock were awe struck by the event. There was generous applause around the quayside! There’s immense job satisfaction working with such visionary clients to develop bespoke, beautiful, creative, functional and succesful signature imagery for their brand. 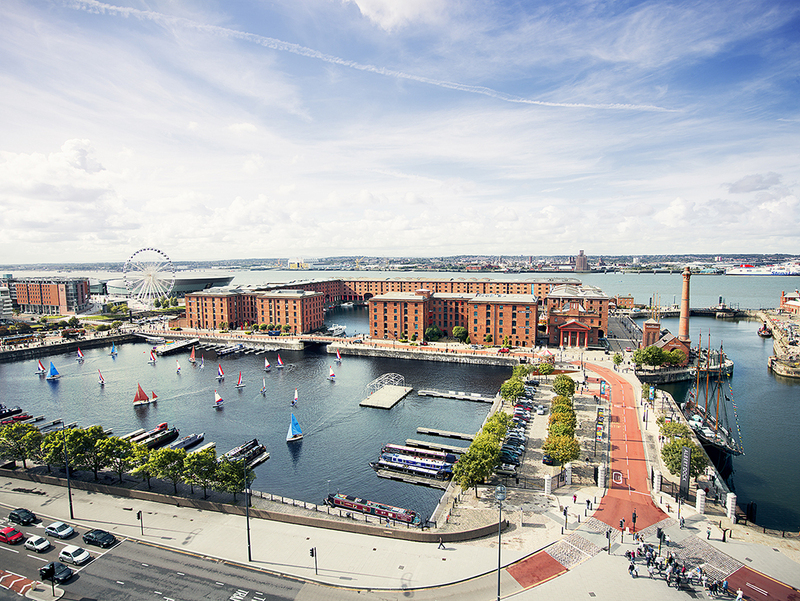 ‘Our ambition was to create a new set of imagery of Albert Dock to inspire a real sense of excitement, capturing the essence of the Dock and what we have to offer. The attraction is full of life, history and character, and we have worked very closely with Brigid, Craig and their team to create this brand new view of Liverpool. “The Waterfront, with the Albert Dock at its heart, represents what’s so special about Liverpool but we did not have an image that really captured the special nature of what we have to offer. 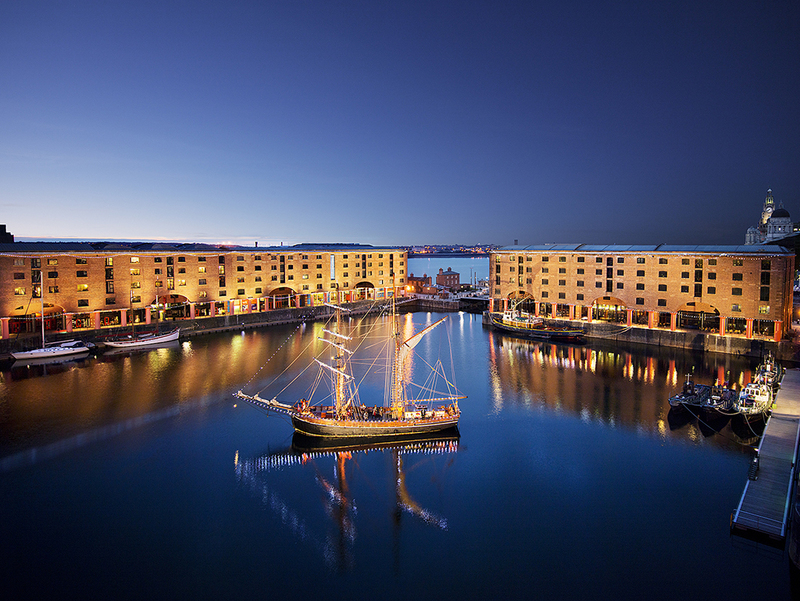 We were therefore delighted to partner the Albert Dock, Brigid and Craig in providing us with a set of images that we can use to demonstrate what a unique Waterfront we have – and we are delighted with the outcome. 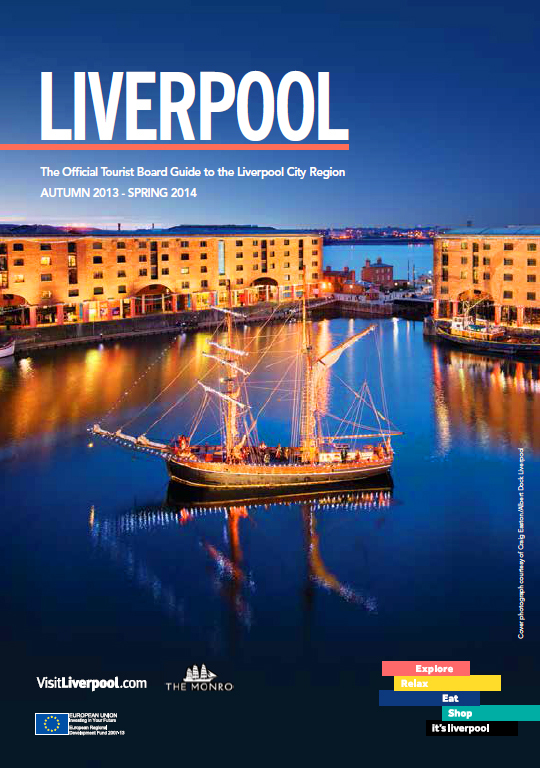 For any visitor to Liverpool, Albert Dock is a fabulous, memorable experience not to be missed.